Its been nearly a year since I posted something on here. It's been a busy year. Even my so-called holiday has been busy too. Usually, in every journey you expect that there'll be down-hill moments and up-hill moments, yeah I've had my fair share of those. The one day that I think I should have a smooth ride, the exact opposite happens. Your birthday is the one day you should be happy about something, the least being that you are alive. Right now... No expression. Heart is heavy, mind cold. What a day! © The poets voice~~~ August 2010, All rights reserved. Ever wondered why you meet some people in this life? Why some people happen to come into your life at certain times? Why people leave and you think ‘why did I meet them in a first place’?.. Who really belongs in your life? So what/who exactly is a friend? What is their role? …and what do we expect from them? 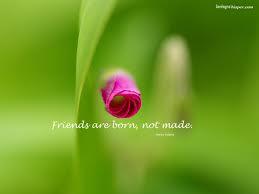 •Encouraging – by affirming and supporting your friends, you build their self esteem. •Truthful – means telling it the way it is even if it’s going to hurt sometimes. Ever thought about how your best or closest friend came to be that? Sometimes, it's not that you start off being friends, u could be people who totally didn’t like each other and somewhere along the line...you just happened to be inseparable. It’s funny how these things happen. Is it that it was never meant to be in the first place or the two people involved were just complete opposites of each other? Or maybe one person was doing all the giving and the other was not making any effort. In the case of the latter, we learn a very important thing about friendship – it’s all about give and take. It’s about support not Misuse and abuse. Friends influence us to such a great degree that we can’t afford to underestimate their influence. After a while, you start speaking like your friends, doing the same things they do and so on. That’s why a healthy friendship is required in life. A friend can tear you down or build you up. You see, earthquakes result from two tectonic plates on a fault line shifting against one another, then lurching in opposite directions. And that's what happens when you bond with the wrong people. When a relationship is not working, when your efforts to rehabilitate it have failed, acknowledge it. Sometimes you just have to swallow your pride and admit that instead of lifting them up, they're dragging you down. Releasing somebody doesn't mean they'll never improve, it just means God is better suited to the job. Be careful around those who are always trying to make you feel guilty for not 'being there'. Only God can always be there! There's a difference between helping somebody and carrying them. Your help may actually be a hindrance. Why should they even try, if you're always there to do it for them? Your need to be needed could be getting in the way of their need to grow. Sometimes you just need to step back and let them walk on their own. Not everybody will be happy when you do that, but they're not supposed to be. Every relationship is for a reason, and a season. Discern those who belonged in your past, from those who belong in your life now. This then brings me to the question: why do we hurt the ones we love or the ones who love us? Doesn’t it just annoy you sometimes when you’ve been there helping and supporting a friend through rough times and after it all, they do something very hurtful or say something without being sensitive to your feelings? This is the point where you have to remember that we are all human and we make mistakes. I’ve realised that a lot of the time they don’t mean to hurt you, sometimes they don’t even realise they did. There’s so much familiarity between you that they just think that you’ll understand what they mean and not take it personal. In any friendship, forgiveness and love are two important things. You should love your friend enough to look past their wrong and then use the opportunity of forgiveness as a fresh start. Think for a moment about your true friends and why you consider them to be true friends. The first candle said, "I Am Peace, but these days, nobody wants to keep me lit." Then Peace's flame slowly diminishes and goes out completely. 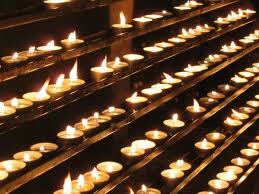 The second candle says, "I Am Faith, but these days, I am no longer indispensable." Then Faith's flame slowly diminishes and goes out completely. Sadly the third candle spoke, "I Am Love and I haven't the strength to stay lit any longer. ""People put me aside and don't understand my importance. They even forget to love those who are nearest to them." And waiting no longer, Love goes out completely. Suddenly...A child enters the room and sees the three candles no longer burning. The child begins to cry, "Why are you not burning? You are supposed to stay lit until the end." Then the Fourth Candle spoke gently to the little boy, “Don’t be afraid, for I Am Hope, and while I still burn, we can re-light the other candles." "Hope is a powerful force. It arouses your mind to explore every possible angle. It enables you to overcome the daunting obstacles. You can survive the loss of many things, but not the loss of hope". We live in times where we're so technology-savvy but communication-sloppy. There's so much information overload, every one's talking over everyone. Yet conversations are empty and friendships are shallow. If everyone is busy uttering words, who is listening? Anyone? Ever been in a conversation where you feel, you're just saying random jokes to fill up the time? Or you don't really want to talk to the person on the phone at that point so unintentionally your mind switches off and then returns 3 minutes just before the conversation ends. Ever felt like you've been talking to someone but you still don't know them or understand them. Sometimes you don't even know how to talk to them or what to talk to them about. So you engage them in 'small talk'... even the weather becomes a major topic of discussion. LOL! Sometimes, people just want a listening ear! Some people are carrying so many secrets and the pressure that's building up within them will cause them to burst any minute, so they just want to unload some of that burden to anyone who is willing to listen. I think the society in which we live in has driven us into overdrive. We are so busy, we cannot spare 5 mins to hear someone out. It's actually gotten that bad. What is good communication? It's honest, positively intended, two-way sharing. It isn't 'dumping' or giving someone a piece of your mind! It's involves listening as well as talking. "The first law of verbal ecology is: garbage is not biodegradable! It recycles, festering with time". What should we communicate? The truth. "But truth can be given like the blow of a sledgehammer or like a soothing hand of friendship. It should be communicated after advance thought for its impact." How should we communicate? How we say things is just as important as what we say. speak with consideration for the hearer's feelings. 'A gentle answer turns away wrath, but a harsh word stirs up anger' (Proverbs 15:1). The hearer's response is conditioned by your words. We have 2 ears and just one mouth. We should be listening twice as much as we speak. It's often difficult for people to tell you whats on their heart so you gotta be listening intently! 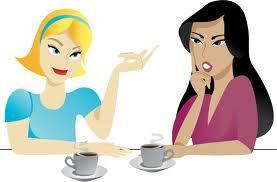 In terms of friendships....good communication may just be the key to understanding your friend. Every person is different, guys and girls especially. There can be a lot of misunderstandings over little things. It can be sorted out if we listen and then of course take the appropriate course of action. So next time you find yourself in a conversation, ask yourself 'Am I really talking?'. Speak the truth, Speak positively...ignore the garbage. See what you can learn about the person you're talking to that will help you understand them.